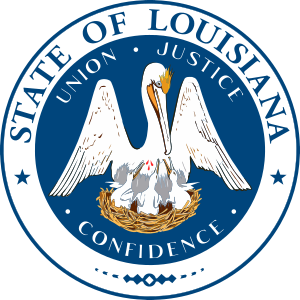 Assisted living in Louisiana is licensed and regulated by the Louisiana Department of Health & Hospitals. Assisted living in Louisiana is defined as “Adult Residential Care” that includes four different levels of providers. Level 1 - Personal care homes: Provides room and board with personal services for 2 to 8 residents. Has a common living and dining setting. Level 2 - Shelter care homes: Provides room and board with personal services to 9 or more residents. Has a common living and dining setting. Level 3 - Assisted living facilities: provides individual living units with one room, a kitchenette, and a private bathroom along with personal services with personal services for more than 2 residents. Level 4 - Adult Residential Care Provider: provides room and board, medication administration, intermittent nursing service, housekeeping, laundry, and assistance with daily living activities such as personal hygiene, dressing, transfers, and ambulation. Usually, the cost for assisted living in Louisiana is paid from personal funds or by long term care insurance. Personal funds may come from personal savings, sale of assets, or reverse mortgages. Note: Many seniors think Medicare will cover long-term care such as the cost of assisted living; however, Medicare does not cover custodial care such as senior housing in assisted living. For qualified low-income seniors, Louisiana's Medicaid Program for long-term care services may help cover the cost of assisted living in Louisiana. Assisted living facilities in Louisiana are required to provide at least 120 square feet of space for single occupancy and 200 square feet for double occupancy. No more than two residents can occupy the same living unit and both residents must agree in writing to share a space. Looking for assisted living residences in Louisiana? Use our free service to get in touch with local senior housing specialists in Louisiana for information and help finding the best match for your senior housing needs. What do Assisted Living Facilities Offer Seniors? Will Medicare Pay for Assisted Living?